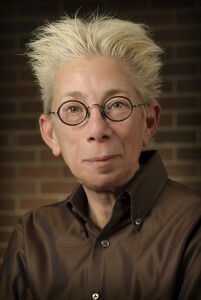 Deborah Britzman, Distinguished Research Professor and Fellow of the Royal Society of Canada, is the Tier I York University Research Chair in Pedagogy and Psycho-Social Transformations. It is York University’s first chair solely focused on conceptions and difficulties in teaching and learning. The ambition is to create opportunities to analyze philosophical, historical, and conceptual controversies within theories of teaching and learning. Such research emerges from the paradox of education as inextricable from mental, cultural, and emotional life yet also the means to know its own imaginary. In other words, education is both subject and object of research. Britzman’s research chair then conceptualizes three theoretical psychosocial views that engage education as an emotional situation and development as uneven. Theoretically, Britzman extends contemporary psychoanalytic views on questions of freedom and mental liberty and researches the destiny of pedagogical structures dedicated to reparation and narrative freedom. The Chair has four main projects: 1) Creation of historical studies that tie humanly induced catastrophe to the problem of representing trauma, reparation, and emotional and social change in education; 2) introduction of psychoanalytic theories of the human subject that address the relations among suffering, the human bond, and pedagogy; 3) studies in fantasies and creativity in pedagogical relations; 4) on-going contributions to the contemporary field of psychoanalysis with education. All told, the Research Chair is focused by psychoanalytic studies of the affective conflicts presenting in education for the 21st Century. Britzman is internationally known for her research in education and psychoanalysis and is also a psychoanalyst. Britizman is the author of eight books and over 90 research articles. Books include: A Psychoanalyst in the Classroom: Education as Human Condition (Albany: SUNY Press, 2016) Melanie Klein: Early Analysis, Play and The Question of Freedom (Springer Press, 2015); and Freud and Education (Routledge, 2011). Her current projects involve the writing of book length manuscript and a series of encyclopedia articles on psychoanalytic theory with social thought. International work includes research discussions on public life in terms of social change and turmoil. Britzman, D. (2013). “Overview of my work”. Royal Society of Canada. Britzman, D. (2010). Interview with Gail Lewis, Centre for Citizenship, Ideas and Governance, Open University. 30 minutes, 26 seconds. Britzman, D. (2009). Interview on Joe Kincheloe, The Paulo and Nita Freire International Project for Critical Pedagogy, University of British Columbia. 36 minutes, 29 seconds.